There are exactly 10 more days of school for the boys. Well, technically, James only has five. Holy crap. That is coming really, really fast. I can’t focus on the summer yet, or the weeks that we have very little to do…what I can focus on is end of the year teacher gifts! Naturally, I can get really excited about this. I thought some of you might be getting panicky/excited as well, so I did a round up of the things I have done in the past in case you need suggestions for this year. 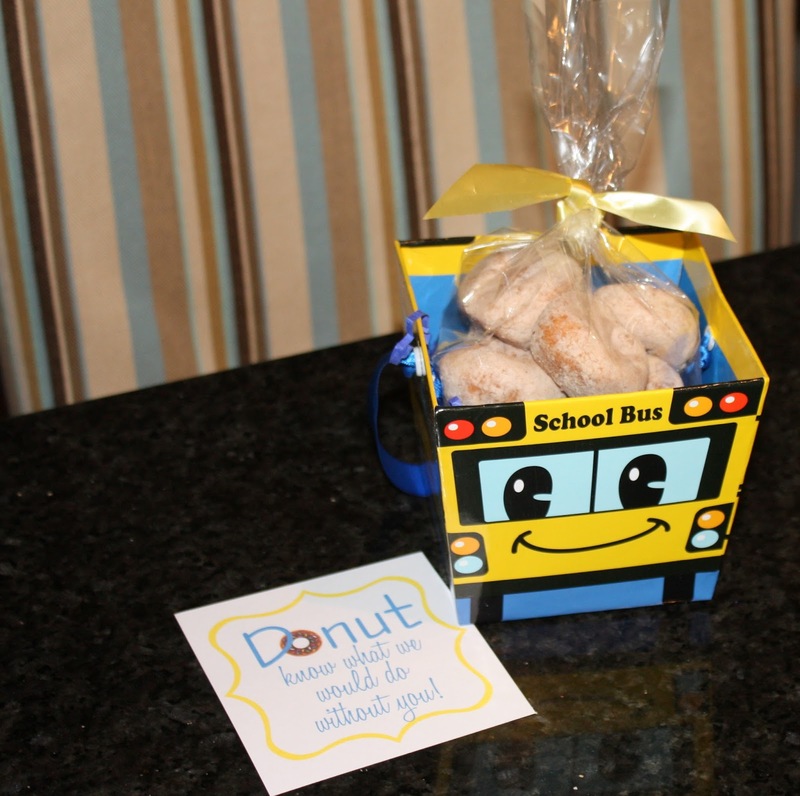 Donuts – Send the teacher’s off to summer with a sweet treat and a gift card for the local doughnut place. Since she won’t be rushing to get to school, she has time, but you know she is up. 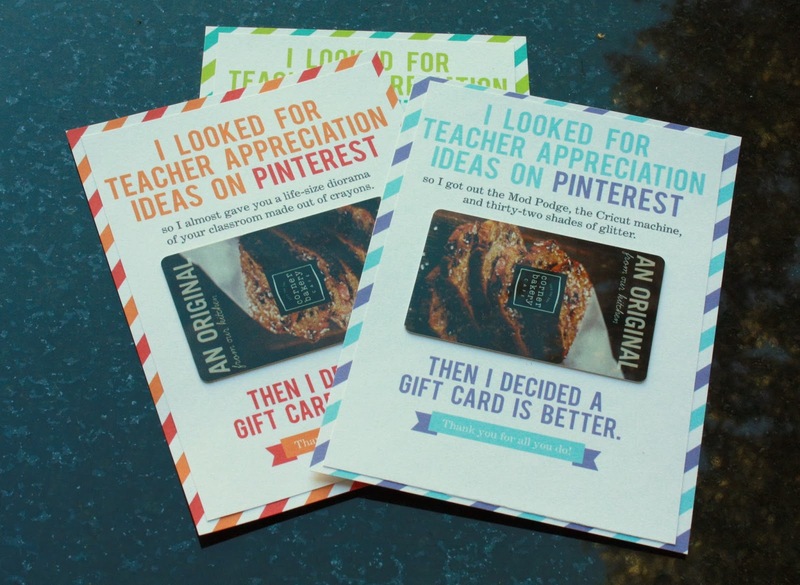 Gift Cards – Check out the bottom of this post for a link to printable gift card holders. 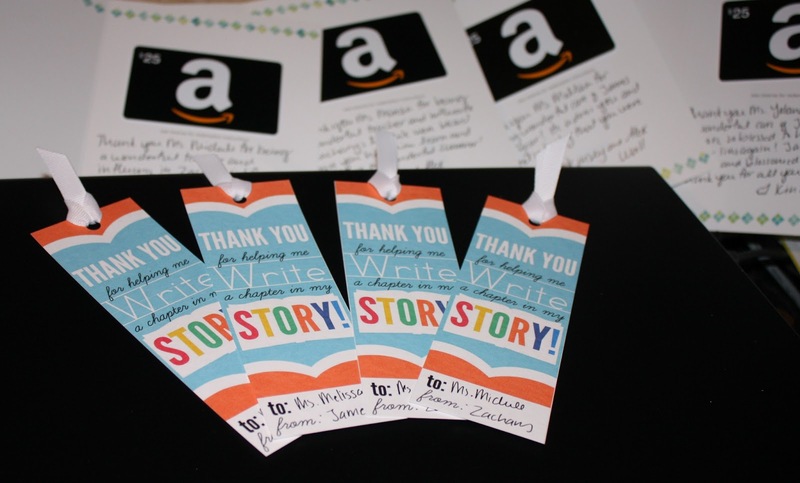 Make the teacher smile all while saying – thank you for making sure my child wiped! Cookies – If you didn’t use this for Valentine’s day, you could totally use it now. 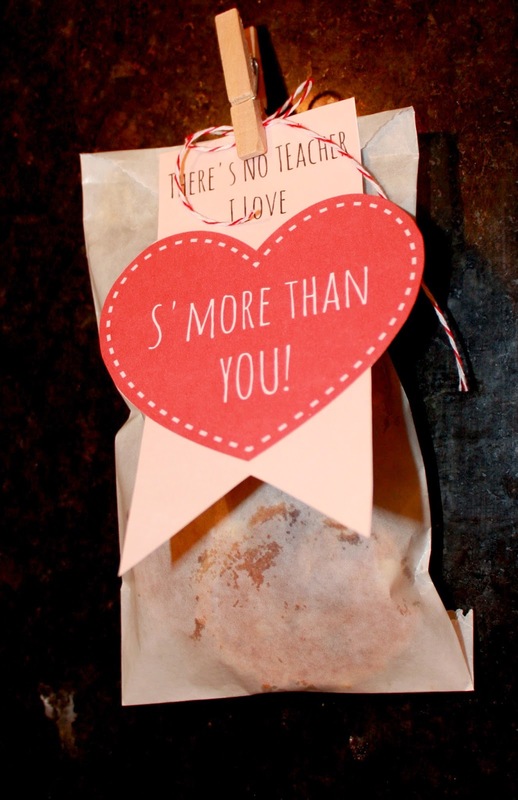 Package up some cookies to wish your teacher well this summer. Bookmark – This is what I did last year, and might do again. I printed out this cute bookmark and included it with an Amazon gift card. Easy and fast. Also you can check out my For a Great Teacher Pinterest board for more suggestions than you most likely want. Happy Summer!